Leslie is our Office Manager. She has been with me since 2001. She runs everything. If you have questions, she’s got answers. 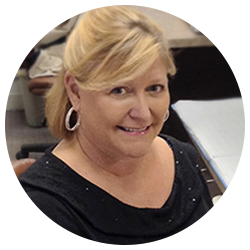 She will assist you in coordinating your appointments with our office as well as others. Leslie is the glue that keeps us all together and moving forward. Katelynn is Leslie’s “mini me” and the friendly voice on the other end of the phone. She will assist you in not only scheduling your appointment but coordinating your treatment between our office and others that we work with. 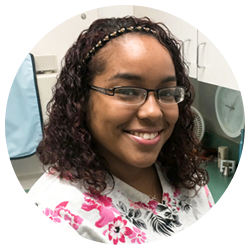 Tatryana is my Dental Assistant and will be actively involved in making you comfortable and keeping me moving in the right direction. 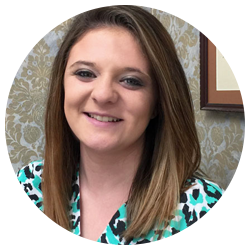 Ashley is the other half of my dynamic duo of dental assistants who’s calm and pleasant demeanor will help make your visit as pleasant and productive as possible. Kathie is our Registered Dental Hygienist. She has been with me since 1992. 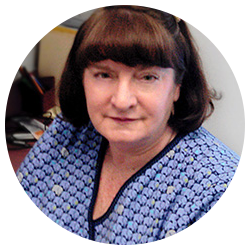 Kathie will educate you and assist you in caring for the work we do for you. 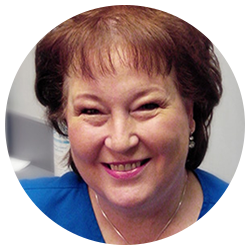 Vickie is our part-time Registered Dental Hygienist. She works out of the Conyers office on Wednesdays. No relation to me, but great last name. Vickie has worked with me since 1992. Thus far, we have never met a person she did not know; she is just that friendly.Vickie is our part-time Registered Dental Hygienist. She works out of the Conyers office on Wednesdays. No relation to me, but great last name. Vickie has worked with me since 1992. Thus far, she has never met a person she did not know; she is just that friendly. 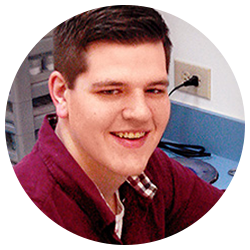 Jesse is our in-house Dental Technician. He is also my youngest child. He was 5 months old when I started the practice, and now runs the Dental Lab. He started with me in Aug 2012, and will be the one fabricating your crowns, bridges, dentures and all the other crazy things we make.